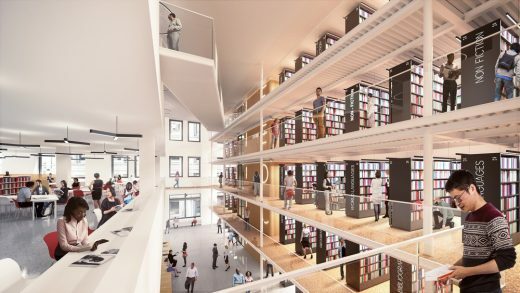 The $317 million plan for the historic Midtown building on Fifth Avenue and 42nd Street was shared at the Library’s Board of Trustees meeting, and calls for an approximate 20% increase in public space for research, exhibitions, and educational programs. 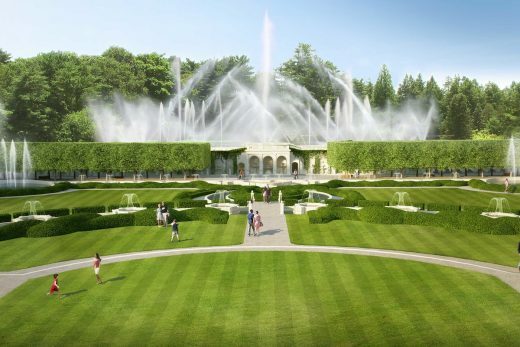 BBB’s rehabilitation of the Main Fountain Garden at Longwood will revitalize the historic heart of one of the most celebrated public gardens in the world. Longwood Gardens, located in the Brandywine Valley of Pennsylvania, was conceived, designed, and constructed by Pierre S. du Pont during the first half of the 20th century. Inspired by many of the great water gardens of Europe, the Main Fountain Garden is among the most prominent features at Longwood, consisting of a variety of significant water features and set within an architectural context of Italianate renaissance loggias, arcades and basins, and an elaborate and rich horticultural display. 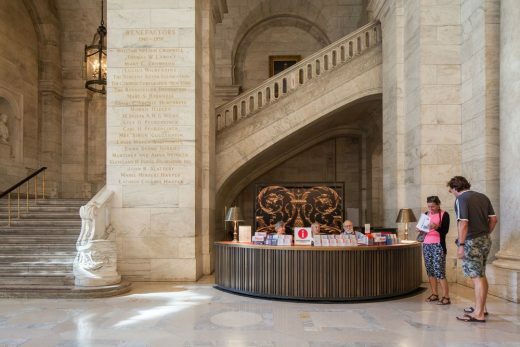 John Belle, the retired founding partner of Beyer Blinder Belle, the US architectural and planning firm that has specialized in preservation, restoration and contextual design, died, reports the New York Times. He was 84 years old. Key buildings with input from John include Grand Central Terminal renovation, the main building on Ellis Island and the Enid A. Haupt Conservatory at the New York Botanical Garden. John Belle was born on June 30, 1932, in Cardiff, Wales. He received diplomas from the Portsmouth School of Architecture in England and the Architectural Association in London before moving to the United States in 1959. Once in America, he worked for José Luís Sert and Victor Gruen before starting his own architecture practice in 1968 with Richard L. Blinder and John H. Beyer. Mr. Blinder died in 2006. Mr. Beyer is still active. Beyer Blinder Belle Architects & Planners is an international, award-winning architecture, planning and interiors practice with a demonstrated commitment to design excellence, social integrity and sustainable practices. 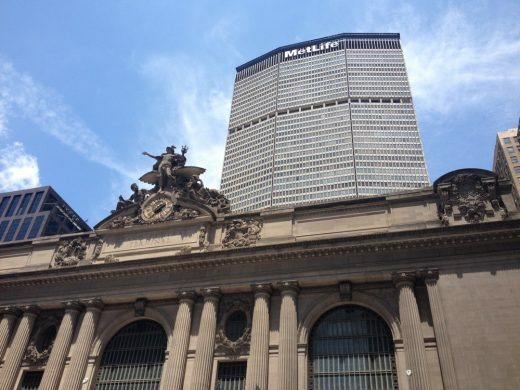 Notable projects include restorations of New York City Hall and the Empire State Building’s Public Lobbies, 100 11th Avenue with Ateliers Jean Nouvel and The Carlton House. Renovation and restoration of the abandoned Ellis Island immigration station buildings. 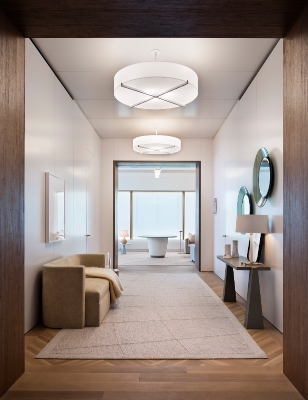 Beyer Blinder Belle Architects Architect office based in USA – with offices in New York, NY and Washington, DC. 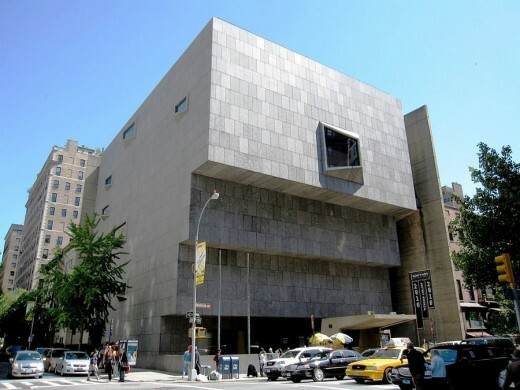 The architects office “was founded in 1968, in the wake of the urban renewal movement in the United States, when the social fabric of cities, communities, and buildings was compromised by the prevailing attitudes about planning and architecture. We pioneered and defined a different approach to the design of the built environment that focused on architecture empowering people — their interaction with each other on streets and in neighborhoods, their pleasure in moving through the city, and their connections to the surrounding physical fabric. This mission has guided us for more than four decades and has shaped a broad and award-winning practice — now 195 professionals in New York City and Washington, DC engaged in architecture, planning, and interiors. A persistent exploration of historic, cultural and civic meaning guides our work, while our design is contemporary and reflects the materials and technology of today.Planning, restoration and the design of new buildings are the fundamental underpinnings of our practice. Civic, Commercial, Cultural, Education, Historic Preservation, Interiors, Planning & Urban Design and Residential. March 27, 2019 in Architects.